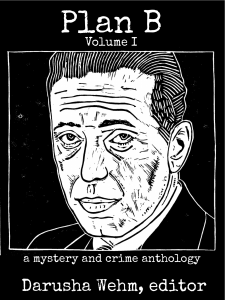 Get Volume I for $2.99 directly from Plan B in all formats. Also available directly at Amazon.com , Barnes & Noble, Kobo, Google Play and Apple iBooks. 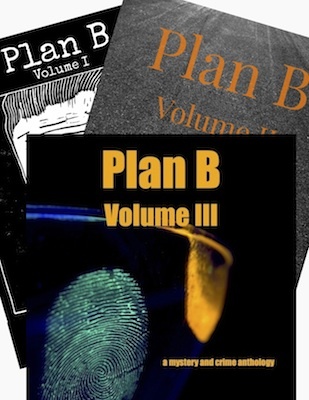 The first Plan B collection showcases a wide variety of plans gone sideways — private eyes getting stuck on cases they really don’t want to take, petty criminals getting in over their heads, law enforcement professionals on the wrong side of the bars, and upstanding citizens finding themselves to be not so law-abiding after all. These stories are as varied as they are excellent — there are light-hearted tales to make you smile, literary pieces that challenge the definition of crime writing, and realistic portraits of difficult and disturbing decisions. Whatever your tastes, I’m sure you’ll find something to enjoy here and maybe something to surprise you.